We take a look at the latest national poverty lines as published by Statistics South Africa. The aim of such NPLs is to measure and track "poverty" over time based on a consistent and standardised method. This helps with track poverty and poverty trends over time. For background on NPL's Statistics South Africa has the following to say. "Poverty lines are important tools that allow for the statistical reporting of poverty levels and patterns, as well as the planning, monitoring and evaluation of poverty reduction programmes and policies. 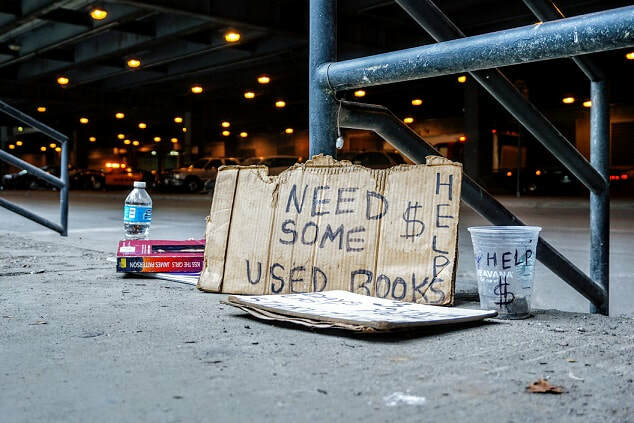 In 2007, Stats SA was officially tasked by government to establish a threshold that could be used in standardising the money metric measurement of poverty for the country. After extensive stakeholder consultations, expert engagements and several discussion documents on the appropriate approach for poverty measurement in South Africa, Stats SA published the country's official national poverty lines in 2012. In developing the national poverty lines, Stats SA used an internationally recognised approach, namely the cost-of-basic needs approach, which links welfare to the consumption of goods and services. In 2015, Stats SA published rebased NPLs using updated household expenditure data sourced from the IES 2010/2011. ​"
​c) Increase knowledge production for policy development and reform around poverty reduction and eradication. 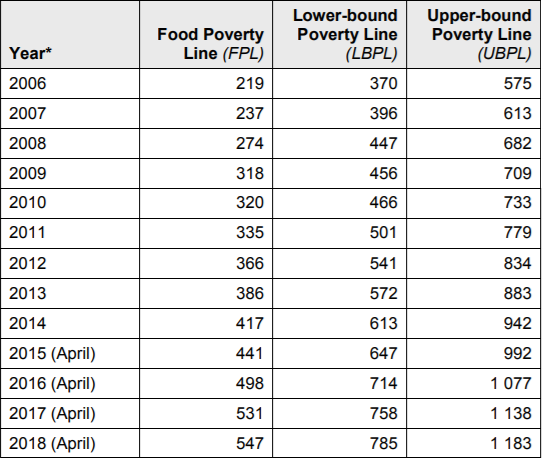 The table shows the national poverty lines over time. The national poverty lines were constructed using the cost-of-basic-needs approach which links welfare to the consumption of goods and services. The lines contain both food and non-food components of household consumption expenditure.